We've had the opportunity to really examine our e-waste this past 18 months, with most of our larger appliances slowly dying. It's been an expensive and thought-provoking time. Each time something has broken, the decision-making process has had a slightly different outcome, which reminds us that there's no one correct fit for every family and situation. Refuse – We couldn't really refuse the oven in this case. We need ‘something’ to cook our food in/on. We reframed our thinking around cooking and energy use, and explored the option of buying a sturdy wood-fired stove and oven (i.e. refusing a standard electric one), which could be set up to heat our water and heat our home. The pros were low energy bill, great heating, and having an appliance that was likely to last for decades, avoiding planned obsolescence. And there's just something about a wood stove... The cons were the high initial cost, the increased time needed to maintain a wood cooker, the difficulty the owlets might have in learning to cook on a wood stove and how that might translate once they left the nest, and the layout of our house meant a retrofit to wood cooking was not ideal. There was also uncertainty around the efficiency (or potentially harmful impacts) of wood, versus the availability of hydroelectricity (another renewable source) from the main grid. After much research and consideration (and a little sadness! ), we decided against that option. Reduce - In this case, we couldn’t really reduce from one oven without not having one at all. But, for these past 9 months we have reduced, to an extent. We continued to use the tiny top oven/griller as best we could (as the main bottom oven was broken), and we used the still-functioning stove top. This did mean that we were a little bit hampered in what we could cook and in the amount of cooking we could do at any one time. No homemade pizzas or big batches of biscuits. No baked dessert! Or if we did want to cook those things, we needed to have the oven on for longer to cook multiple foods, which would be less energy and time efficient. In our waste-free day to day, the oven is an important tool, as so many things are prepared from scratch. Not having a functioning, large oven was making things not so easy. The final straw was when the inner walls of the small working oven fell away! Reuse (and repair) - When we had a repair person out to look at the broken oven and dishwasher (which we couldn't repair either and decided not to replace), the quotes we received for fixing the oven suggested that the cost of repair would be almost as much as the cost of a new oven, with no certainty of longevity even after repair. This was where we learned about the short expected lifespan of many new models – most are made from cheaper-quality components and not designed with repair in mind (or models where replacement parts are only available if expensively bought from overseas). We were assured that 5-6 years is a decent innings for an appliance these days. After a little more research, we found a local business that takes broken second-hand kitchen appliances and repairs them for resale. In the case of stoves, we discovered they only really take Westinghouse ovens, as these are one of the few brands that can be easily repaired in Australia. For example, switches on Westinghouse ovens have been known to blow after some years of use, and many people discard the whole unit, instead of paying the $70 or so for a replacement switch. Also, many units are discarded when rental homes change tenants, or when home owners want to renovate or ‘upgrade’ the kitchen. So, we found a model that suited us and got it delivered and installed for less than half the cost of buying and installing a new model, and less than it cost to repair our old stove. Recycle - An electrician came and took our broken oven away. The old unit will be used for parts, and what’s left will go to scrap metal recycling (Recycling being lower down on the waste hierarchy). The secondhand unit that we bought even comes with a 3-months parts and labour warranty, so we've got a little time to see how well it works and test it out. We were happy that we could buy secondhand. It made sense for us to support a local business that had established because the owner was sick of seeing so many appliances go to landfill, and sought to address that. Sometimes going to those superstores like Harvey Norman just feel so at odds with our efforts to reduce waste. With our second-hand unit, we can avoid the waste associated with the production of a brand new appliance. We avoiding the transport waste (fuel) to ship a new appliance (or its components) from overseas. We avoiding packaging associated with a new appliance (usually polystyrene, flexible plastic, some rigid plastic tags or guards, and a big cardboard box). That waste tends to be out of sight, until the new appliance is inside your home. We chose a model that we understand to be relatively fixable, that we could afford (and find). There are higher-end models that are repairable, but then you have to weigh up the cost of the appliance with the cost of repair (which might be expensive for fancy European models). We also chose a model that's a little smaller and more efficient to run than our previous model. It looks as if the oven and griller have never been used. It's sturdy, unlike many of the new stoves we saw available new, and like every stove we've ever cooked on in every rental property, and even this home for the first 5 years. It's cute and certainly a little bit retro (harkening back to the era when our house was built), and seems like a downgrade from the stove we had before. It's a little juggle to fit all the pots, but it's doable and the oven is the same size as before. It has fewer bells and whistles than most new stoves you can buy, but we see that as a good thing. No clock to struggle with at daylight savings time. No specialty settings. A light that turns on with a switch, and a timer that works when you turn it and doesn't require a full understanding of the manual. The owlets love hearing it go 'ding' when the cake is ready. And it's as clean as a whistle! As usual, the waste hierarchy was useful in working through the problem of replacing a broken appliance. Beyond the Rs, we find it also helps to think about the hidden waste - the energy used and waste produced in getting the prospective item to you, and what waste might result when you’re done with it. If you can, look for secondhand, look for locally made, look for durability and repairability, look for good energy-efficiency, and consider functionality (does it meet your needs?) – you may not need all the bells and whistles! And, always look for recycling services, if you have electronic waste that is beyond repair or reuse. Apparently the Victorian Government intends to ban eWaste to landfill by 1st July 2019. We're hoping that Tasmania will follow suit. Ideally, we'd love to see businesses being more transparent about their products' planned obsolescence, so we can avoid so much waste in the first place. Until then, it's a task of assessing each situation as it arises and often making some compromises before finding a solution that works for your wallet and your practical needs. Time and again we hear the shift towards a different way of living described as a "journey". Changes seen as something that might take months, or even years to work towards, with tiny changes in habits made each week, or within an arbitrary timeframe. Through the choices our family has made over the years, I'm pretty sure we've described a few different shifts in this way ourselves. But our experience of waste free living has highlighted for us why we feel like the baby steps, long, slow journey approach may not be the best way to tackle taking responsibility for the waste you create. The thought of moving towards zero waste living as a years-long, or even lifelong journey, is downright disheartening. It can make it seem like an unattainable goal, when really the shift is quite simple at its core. The earth needs us to speed things up a little, and we believe that's totally achievable for many people. Reframing how you approach it can make all the difference. Towards the end of her life, my dear Nana gave up smoking. I suspect she already had advanced lung cancer by then, so it was the thought of breathing a little easier and not struggling through another winter cold with a raspy cough that convinced her. And possibly a stern word from her doctor. Nana was a force to be reckoned with, and when she decided to do something, she did it. Just like that. And so she quit smoking one day, cold turkey. She was almost 80 years old. It was somewhat bittersweet the day Nana realised how easy quitting would be. "Oh, I thought it would be hard and take months, and I'd have to join one of those program things. I'm not a joiner!" Nana said. But once she'd made the decision to quit, she found it quite simple, taking each day as it came, and she wished she'd done it decades earlier. Fear of the journey meant she missed meeting her first great grand-daughter (Big Owlet) by six months. I sometimes wonder if it's this fear of the journey that holds many of us back from committing to making straight forward changes, like reducing the plastic we've come to rely on in our homes. It alls seems too daunting. We don't want to deal with the length of time it will take to work out all of the things we'll need to do, and how hard it will be to learn and remember new habits. I know this is what had been holding our family back from making the leap. Not really understanding how best to approach zero waste living, or what our life would look like without the weekly supermarket trip or online delivery. It all felt like an expensive, uphill battle. And so we chipped away at it and thought about it slowly, still forgetting our cloth bags most times and still lamenting the things we felt we couldn't change. It took a little nudge towards commitment to get us to rip the bandaid off and try waste free living. We audited all our waste, spent a week researching, and then dived right into to two weeks of living waste free. That was one full pay cycle, and felt like enough time to get the day to day workings of it in place. We put all the things we couldn't buy at a bulk foods shop, butcher or green grocer on lockdown, and lived like they didn't exist for those two weeks. What we discovered, somewhat sceptically at first, was that our shopping budget remained the same, our quality of life remained (and was even better then before), and this thing we'd been putting off, or considered approaching in tiny increments, was actually achievable all at once, when we approached it wholeheartedly. We discovered that zero waste living isn't a journey, it's a simple decision, made over and over again. Every day you make hundreds of choices about where you shop, or what you consume, and how. You choose that single use straw, or you refuse it. You choose that single use coffee cup, or you bring a cup from home. You choose to buy a packet of biscuits instead of making them. You choose. We all do. If each time you choose to buy or consume something potentially wasteful, you ask yourself the simple question; "Am I willing to take responsibility for consuming this product, and the waste it creates? ", the way forward becomes very simple and clear. There are times when the decision to consume that potentially wasteful thing is absolutely valid and justifiable, and there should be no guilt felt during those moments. We each have different situations and life circumstances where potentially wasteful products are necessary to keep us going, and if you're facing that situation, then your decision is obvious. Describing zero waste living as a "journey" makes the choices that seem contrary to a waste-free approach to be setbacks along a linear path. When really, they are not. They are just choices you need to make, that are right for you at that time. At other times, where there are valid alternatives you can access, those are the times where your choice to live waste-free guides all the little choices you make. And it informs all of your choices throughout the day, until your entire week can be counted in resources, compost and lived experiences, rather than who's putting out the bin. Possibly the biggest fear when it comes to leaping into zero waste living (and often a reason for the baby steps approach), is the perceived cost. It's an understandable concern. We hear: "Bulk food shops seem expensive! Oats cost $4/kg at the bulk foods shop and $1.50 at the supermarket! That's unaffordable!". On the surface, that seems correct. But in our experience, buying everything without packaging, and making food and household products from scratch means the costs even out. You're more likely to buy what you need, rather than surplus servings, and you're less likely to impulse buy those biscuits when the packaging and advertising isn't there to entice you as you wander the aisles. If you continue to buy that expensive deodorant or toothpaste, rather than making your own for a fraction of the cost, then spending more on oats does absolutely seem out of the question. But if your entire shopping approach has changed, and you're embracing waste free living in a wholehearted way, it's quite possible that you can afford more on certain products while spending less on others. You may not see how that balances out without doing some serious sums, or jumping right in. Many of the more successful zero wasters, those who have managed to embrace zero waste living effectively and for the long term, will tell you their change in lifestyle began as the result of a commitment. Either a challenge set externally, or by themselves. And they looked beyond the challenge to incorporate more change into their lives. It's that all in, wholehearted approach that helped them along. And then once they got started, the momentum propelled them forwards until there was no looking back. That's been our experience, and it could be yours too. The world can't wait for bans to take effect and for baby steps towards reducing plastic and household waste to catch up. It needs solutions now (most of them exist), and we are each of us responsible for those tiny choices we make every day. Are you ready to make the leap? If you'd like to set yourself a challenge to help you leap towards waste-free living, we'd recommend joining Plastic Free July. Tackling plastic will help you address one of the more wasteful aspects of modern living, while giving you the kick start you need to make the waste-free shift in other areas of your life. If you'd like to tackle the whole lot in one go, try joining our Zero Waste Families eCourse, which could see your family move to waste-free living in four weeks. Once a fortnight in my street, and in many streets around the country, people roll out their recycling bins for collection. Kerbside recycling is now the norm for many people, despite only being introduced in most areas during the 1980s or later. People are generally well accustomed to paying attention to what materials their waste is made from, and sorting into the appropriate bin. But situations change, and I think it is time to rethink our attitudes and approaches to recycling. You may have heard that from Jan 1st 2018, China stopped accepting a range of recyclable materials from Australia. This means that an estimated 619,000 tonnes of stuff that used to be shipped away for China to deal with (e.g. China would recycle plastic into things like rubbish bins), now has to be managed in some other way. Under the previous process, recyclable material would have made a chunk of money for those in the recycling industry – around $500 million dollars a year (for 600,000 tonnes). But now the recycling industry and people within local councils (who collect, sort and manage waste collection) are scrambling to figure out what to do next. One of the consequences of China’s import ban is that some municipalities might start sending the contents of kerbside recycling bins straight to landfill. Blergh. What a waste. All those jars, cans, bottles, paper and other recyclables that were rinsed, sorted and put in the recycling bin by YOU – now sent to landfill with the rest of the waste from regular waste bins. So far, Ipswich City Council, southwest of Brisbane, has stopped kerbside recycling (although the latest news is that they may have reversed this decision). There is a risk that other councils will retract their kerbside recycling if costs become untenable (in the absence of the cheap, send-to-China option). Many councils are stockpiling; hoping and waiting for a local solution to recycle or manage recyclables in a way that avoids landfill. But stockpiling can get expensive and hazardous, and local recycling solutions are few and far between. Councils might start increasing household rate prices to deal with the increased quantity of recyclable material that has to be managed locally. Others might beg the state and federal governments for money to fill the gap. But that won’t solve the longer-term issue of what to do with all the recyclable waste material generated by people in Australia each year. There have also been whispers of new ‘waste to energy’ schemes being established in Australia to deal with ‘residual waste’ (i.e. waste left over after recyclable material is sorted out). Even the national environment minister is keen on the idea. This might follow along lines of waste to energy plants in Europe and elsewhere. But these, are, in my view, not sustainable long-term solutions. Waste-to-energy plants do little to discourage consumption of harmful plastics and other materials, because those materials are what keep the power plant operating. Waste-to-energy systems do not reflect a closed-loop system, but rather, a slightly elongated linear one. And they still produce waste (approximately 25% of the volume of waste inputs are outputted as a toxic ash, for landfill). We need to do better. The solutions are already all around us. Zero waste solutions, particularly those that provide ways to refuse or reduce quantities of certain types of packaging and waste, can empower you to avoid all this recycling (and landfill) malarkey altogether. And you can start now. Make that decision to commit to avoiding waste. Not just for straws or plastic bags, but for all the things you consume, including those items whose packaging you were normally put to recycling. It’s not as difficult as you might think. Once you’ve made that conscious decision to actively avoid waste (including excess recycling), then many of the other answers you need are out there! Get informed! Join your local zero waste group. And if you don’t have a local group, Zero Waste Tasmania (which we run), accepts people from all over. Scout around for alternatives. Think hard about what foods and ‘stuff’ you really need to keep you well-fed and happy. Can you find packaging-free alternatives? Or if you can’t find packaging free options, can you use your own packaging, or only buy compostable packaging. Get composting – for many people, more than half of their waste comes from food scraps and organic matter. If you can nail a good composting system that suits your home context, then you might be able to halve your waste! Get talking! The solutions that work for one person don’t necessarily work for everyone. So, talk with your family and friends, your local shop keepers, your social network, and help each other problem solve ways to reduce or avoid certain types of packaging. Think of refillable options instead of single-use, look for home-compostable packaging over plastic, and consider home-made snacks and sweets (or bulk bought ones in your own bags) over plastic-wrapped ones. If you’re stuck, ask online – and the hive mind of your zero waste group will respond, often with more ideas than you can poke a stick at! Get activisty! Speak up and write to government representatives, businesses and product manufacturers and tell them what changes you'd like to see that help to reduce waste. What products do you think should be better regulated or banned, and what packaging needs to be replaced or eliminated? What other positive actions can you encourage? The previous situation (sending our recycling to China) was not environmentally sustainable. I mean really, how many plastic rubbish bins do we need in the world? The current post-import-ban situation is also not good, but it is prompting Australia to take more responsibility for its own waste – its own mess. Let us not fall back on harmful, out-of-sight-out-of-mind solutions such as stockpiling and waste-to-energy. Let us use this as a flag to pay more attention to our own waste, and to look for ways to avoid it in the first place. We live in such a geographically large country that recycling is inevitably limited in its efficiency, due to long transport distances and hence, fossil fuel inputs, involved. All the more reason to reduce and avoid waste in the first place. Oh, and the photo above, shows our little owlet holding the sum total of one year of our recycling. What is more significant is what you don't see - 26 recycling bins of recycling avoided, for each year that we have lived waste-free. 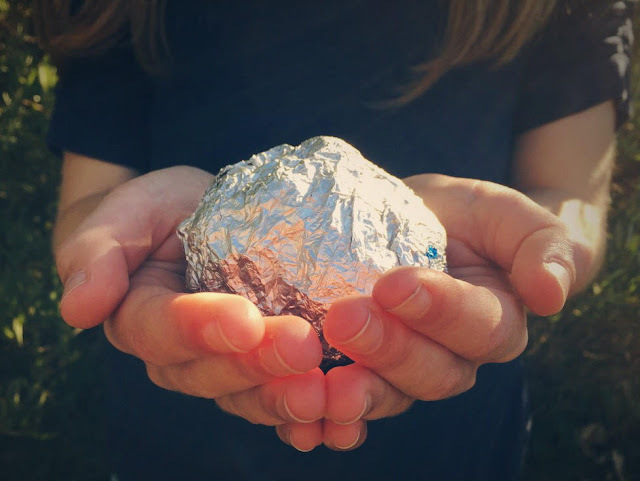 This waste-free lifestyle has proven to be quite easy for us, and so we think it is totally doable for many other people in Australia to live similarly, by applying solutions that work for their own circumstances. This Sunday is Earth Day! This year’s campaign is around the mission to end plastic pollution. 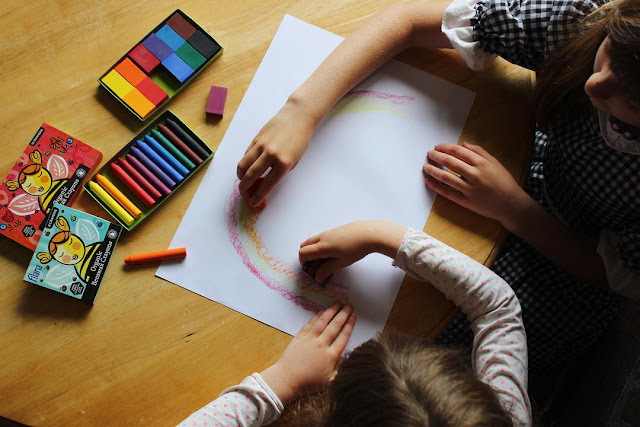 To support this initiative, we are offering our Zero Waste Families e-course for only $10 (which is more than 50% off RRP) between now and midnight Sunday. The course is designed for you to do over a four-week period (or at whatever pace suits you), and aims to provide many solutions for living without waste. Use the coupon code EARTHDAY2018 at checkout, to claim your discount on our e-course. We'd been putting off the inevitable decision, and cost, around choosing a new pillow for quite some time. Huz and I bought curved foam pillows more than 12 years ago, and despite cleaning the cover and protector regularly, I'm sure that there were cities of dust mites living in them. Yuck. Probably not great for my dust-mite allergy, and possibly the reason I'd had recurrent sinus infections. And our pillows were starting to disintegrate, with tiny bits of foam flaking off. Gross. Apparently, you're supposed to change pillows every three years, or every six months if you have allergies, so we were well overdue! We started to look at what would be the best waste-free option for us. Firstly, we wanted to find something home compostable, so we could avoid landfill. That discounted latex foam from our search. Organic cotton, bamboo, wool, and feather were all compostable options we considered. But, of course, there were ethical and environmental considerations to take into account with each option. Distance the materials would travel to reach us, water used in creating the fibre or filling, treatment of animals in animal-based fillings, treatment of fibres and chemicals used in production... And cost. These factors are going to be different for each person, depending on where you live, what you have access to, health considerations, and what you can afford, so one of these may already be right for you. But what was best for us? Where we live, in Tasmania, we're always happy to try local options to avoid products travelling by air and sea. So, after a hunt around, we were happy to find Tasmanian grown buckwheat hulls. These are a by-product of buckwheat farming. They're also grown by a supplier of our favourite organic grocer, so we asked her to order us a sack with her next delivery, keeping carbon miles relatively low. And as they're not generally a highly sought-after product, the cost was pretty low too (ours was about $10 per pillow). Buckwheat hulls are often used to make yoga bolsters and cushions. They've been used for sleep support in Japan for over 600 years, and you can actually buy ready-made buckwheat pillows in a few places online, so we didn't feel like we were planning something completely eccentric! We already had zip-up pillow protectors, so we re-used those and filled them with a comfortable amount of hulls. I should add here that pillows are actually not a requirement for living and it may even be better for our bodies to sleep without them, but while we get our heads (and necks) around the concept of pillow-free living, we've started with about half a grain sack each of hulls. We will consider reducing the amount of hulls until we're sleeping comfortably without a pillow. Next we zipped up the pillow protectors and added a pillowcase. And that's it. So easy! To clean the pillow, unzip the pillow protector and pour out the hulls. Then give the protector a wash, and if you can find somewhere to spread out the hulls and give them a little sunlight (perhaps a clean bedsheet or flyscreen away from breezes), that should help to keep the hulls fresh. So, what are buckwheat hull pillows like to sleep on? Well, they're a little noisier than your average pillow! It's a bit like sleeping on a beanbag, or even a wheat bag/heat pack. They do take a little rearranging, and they're a bit firmer than we've been used to. But they're also super comfortable. The hulls are quite light and soft, hold their shape well, and when you get the right position, it's wonderful. 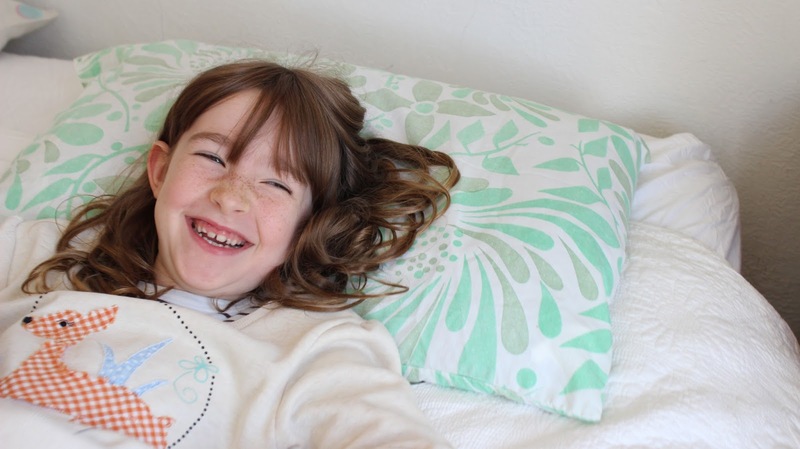 They provide good neck support, and are low-allergy, chemical free, and unscented. The airflow through the hulls keeps them dry and, because they're non-nutritive, and the hulls have regular movement, they're not attractive to pests. I found the knot at the back of my neck disappeared overnight, and my allergies and sinus infection seemed to clear up right away. 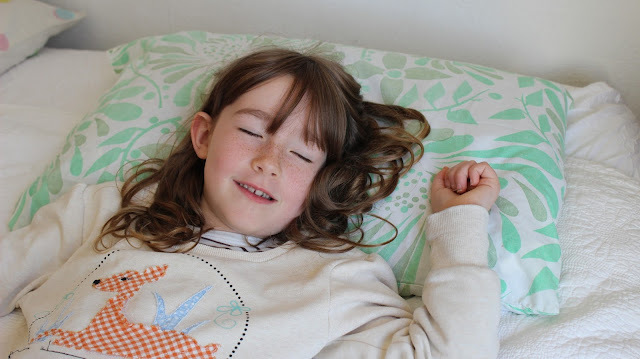 We did find initially that we tended to move more during the night, and even wriggle down the bed a little, but we actually felt better for that, and persisted. It took Huz a couple of nights to get used to the buckwheat hulls, but now he sleeps comfortably every night. My favourite thing to try is turning buckwheat hull pillows into enormous dream pillows. Herbs that promote deep sleep and relaxation (such as lavender, rose petals and hops) are fab. The dried herbs can be added in a handmade sachet, or scattered through the buckwheat hulls, for a beautiful sleep. 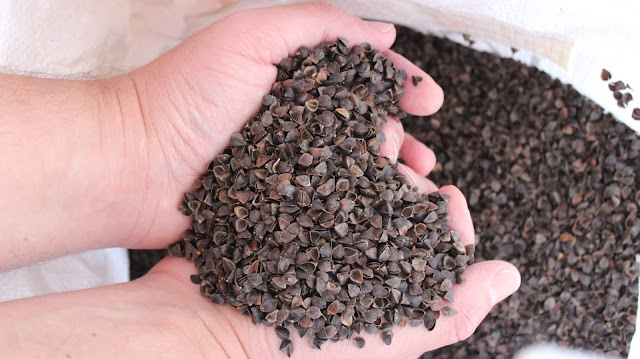 When it's time for us to replace our buckwheat hulls (in about 10 years), we'll take them out to the garden and compost them and source some new hulls... Great for our garden, good for our bodies, and gentle on the planet. Should I leave my plastic at the counter? The other day, a few friends shared with me (Oberon) a UK viral video about plastic, and it got me thinking. In the video, a group of supermarket shoppers collectively do their grocery shopping, but when they get to checkout they all remove the plastic packaging from the bought items and leave it on the counter as a sort of plastic protest. The video describes how the group wants supermarkets to take more responsibility for the overuse of plastic packaging in the products they sell. I find it interesting to think about the issue of ‘who takes responsibility’ when it comes to packaging waste. So, who is responsible for single-use waste plastic packaging? I thought I’d ‘unpack’ (pun intended) the issue a little. There are four main players (probably more) to consider – governments, producers, retailers, and individual shoppers. You could also add other players – media, insurance companies, packaging designers (note the saying ‘Waste is a design choice’), oil companies, plastics manufacturers, waste and recycling managers, industry regulators, and more – but I’ll set these others aside for now. Each level of government (local, state, federal, plus international obligations) has different responsibilities and capacity to influence single-use plastic packaging. The Australian Government regulates and manages waste at a national level and administers the Australian Packaging Covenant, which is a sort of ‘soft’ regulation, requiring big businesses to report on the steps they are taking to reduce and better manage packaging. State Governments have responsibilities around pollution and managing all sorts of aspects of community health and well-being (and waste), but regulation around plastic packaging is not generally offered, unless there is lots of pressure from elsewhere (e.g. peer pressure from other states, or strong lobbying from individuals/communities/local govts). State governments do have the potential to enact fantastic positive change around single-use plastic packaging, but they have to have the will. Local government is where (I believe) the greatest in-roads can be made in terms of regulating use or sale of certain types of plastics, but the sphere of influence is limited, to the municipality, and also to limited certain business contexts – e.g. Hobart City Council are banning single-use plastic packaging for takeaway food, but are unlikely to be able to ban all the single-use plastic packaging that lines every aisle of a supermarket. Producers (the people who grow the food and make the supermarket products) vary greatly – some give attention to environmental impacts, whilst others completely avoid them. 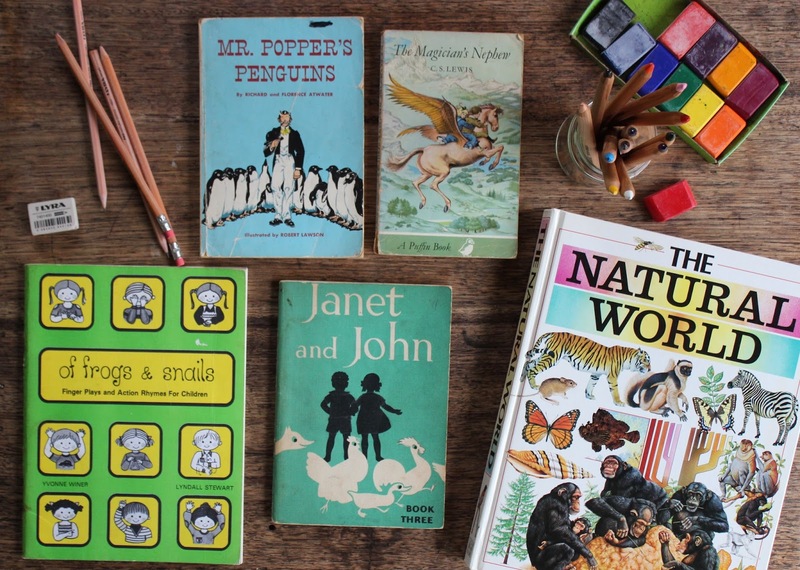 Some will give the impression of addressing environmental concerns, such as by calling something ‘eco’ or ‘natural’, whilst continuing to sell harmful products. Producers often sit between a rock and a hard place – they are bound by governmental regulation (e.g. food packaging laws) as well as retailer contracts that may demand certain products be packaged in plastic (e.g. spinach leaves or strawberries), in order for the product to work within the long supply chain of a supermarket. Many foods in Australian supermarkets have had to travel long distances, and with that comes additional requirements for certain types of packaging to keep food fresh and undamaged. Whilst producers can look for ways to avoid plastic packaging of their products, the alternatives may be cost-prohibitive or a legal nightmare – just look at the struggle Elgaar Dairy (both a producer and a market retailer) have had to go through to provide milk in returnable glass bottles. Retailers also vary enormously, from the massive multinational corporations, down to little Jimmy selling lemonade on the nature strip. But all retailers choose which products they want to sell, and this includes choosing which items they will sell that are wrapped in single-use plastic. Plastic is cheap, and so many retailers are reluctant to avoid its prevalent use. Big retailers will run the argument that customers demand certain items be wrapped in plastic, or they will say that they are simply offering customers the variety of options that they desire. They have control over packaging of home-brand lines, but rarely do anything to reduce the plastic in them. Big supermarkets now have automatic electronic checkouts, (which, as an aside, cuts jobs), and (say they) require additional plastic packaging to appropriately use the automated checkout system. This is partly why you’ll often see the organic produce in supermarkets is plastic-wrapped. Big supermarket chains will continue to sell what the customer buys, and are strongly driven by their profit margin, with only tokenistic attention given to things like waste and environmental impacts. They will continue to respond to the dollar signs, and rarely to complaints to their social media walls. A couple of years ago, I initiated and worked on a #PlasticFreeProduce campaign to encourage supermarkets to reduce the plastic packaging of their fruit and veggies – but it was like water on rock, as the supermarkets have strong bureaucratic defences, sending out a lowly customer support person to respond to our concerns, offering the same stock standard (weak) responses, and demonstrating very little to no positive change at their end. Fortunately, there are some retailers who prioritise packaging and waste – these businesses deserve higher support and their business models encouraged. They are not the focus of the viral video I mentioned above, but they are relevant to the solutions to the problem. Individuals have more power than they know. Whilst we each appear to be a mere drop in the ocean of customers that frequent big retail stores, our influence (including our absence from those stores) is apparent. When you abstain from buying a certain plastic-wrapped product from a major chain supermarket, and choose instead to grow your own or support a small, ethical and local producer, then you are sending multiple positive messages. 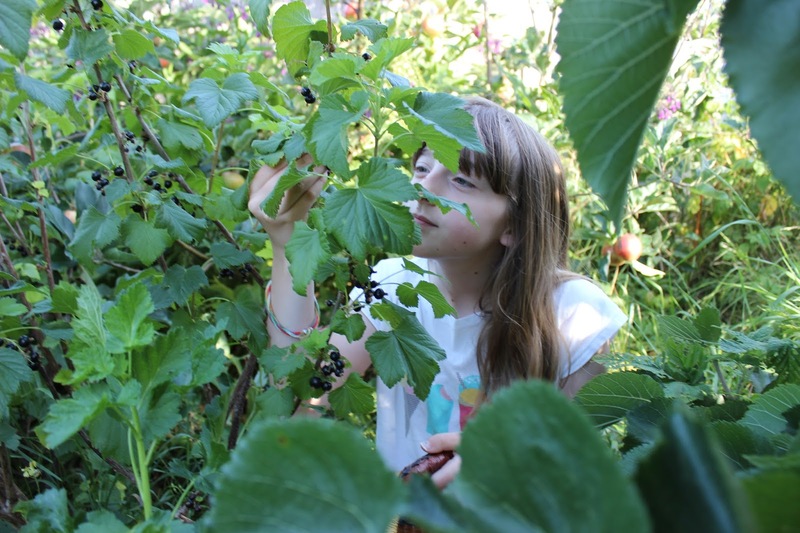 You will both reduce the sales of harmful items from supermarkets (which can lead them to discontinue items or consider alternatives) and also promote local businesses to flourish, or (if you grow your own) demonstrate self-reliance – which is a fantastic way to reduce waste. But what about the fact that it is still just a drop in the ocean? Well, my family have limited out waste over the last two and a half years to little more than would fill a medium-sized glass jar. We’ve also stopped shopping at supermarkets and now source food from local, ethical businesses, grow our own, and barter. The (roughly) $250 per week that we used to spend at the supermarket each week is now supporting a healthy local economy. That equates to around $30,000 that we have taken from the sales of major supermarkets, and divested into businesses that prioritise or support zero-waste approaches. Doing this helps to those smaller ethically-driven businesses to offer items at more competitive prices. Also, supporting local is also great, because it is generally easier to open up a dialogue about waste and improved waste-management, because you can speak directly to the person who can influence production and sales. That is not to mention the 5 tonnes or so of landfill that we have avoided (compared to the average household over 2.5 years), and the numerous tonnes that would have previously gone to recycling (which we now avoid, compost or burn for heat). And then there is the influence of this ‘passive’ activism – others have been prompted to make changes in their habits, upon seeing that living with much less waste can be possible, cheaper and more convenient that the supermarket trawl. There are now around 7000 people in Zero Waste Tasmania, and other zero waste groups that have started in response to this group. Many others are enacting positive change in their area and discussing ways to reduce waste. Maybe it’s not a drop after all – maybe it’s the start of a wave. It should be mentioned that neither individuals, producers, retailers or governments, hold all responsibility for waste. But each group have things that they have high influence over, that they could be doing more about, especially when they are informed about the harmful impacts of existing practices. I will also add that none of these four players act completely independently – there is an interplay within and between all four – and I believe that effective, positive outcomes are more likely if the dialogue remains open, informed and courteous. But remember, governments don’t have to keep single-use packaging legal, producers don’t have to keep wrapping everything in plastic, retailers don’t have to keep buying plastic-wrapped goods, and individuals don’t have to buy plastic-wrapped stuff. The responsibility is indeed shared amongst all these groups. So, back to the viral video mentioned at the beginning of this rant. Those shoppers who bought plastic-wrapped items, only to remove the packaging at checkout? They want to absolve themselves of responsibility for the packaging and put the onus back onto the retailer. My problem is that those customers are still choosing to buy the plastic-wrapped products in the first place. The retailer’s bottom line is unaffected. The cost to remove the discarded plastic packaging is minimal (whether they landfill it or recycle it). Mountains more plastic is used in the bundling up of goods on pallets at the back of the store, and during other steps in production and transport. The plastic around the product is merely the tip of the waste iceberg for most items in a supermarket. And the customers have the option to simply not buy those plastic-wrapped items. Most fruits and vegetables can be bought unwrapped at supermarkets, and basic needs met by buying items elsewhere, from local grocers, shops, bulk food stores, markets, community gardens, co-ops, butchers, delis, etc. The viral video does not offer solutions, nor does it demonstrate willingness by those customers to actually change their own behaviours. But many people CAN change how they shop, get their food, and meet their own needs. 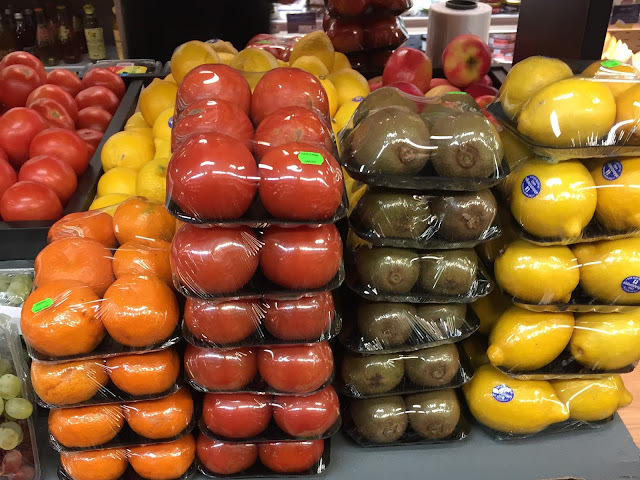 The viral video shows does have the effect of showing off just how much plastic is wrapped around items that supermarkets sell. But just filming items on the shelves will do that, right? – you don’t need to buy and remove the packaging to see what it is made from. We can’t keep hand-balling responsibility around. Seeing supermarkets argue that they are merely responding to customer demand (by offering plastic options), whilst ignoring those who argue to remove plastic, is simply exhausting. Conversely, demanding change from supermarkets when there are perfectly valid and do-able ways to live without them (e.g. 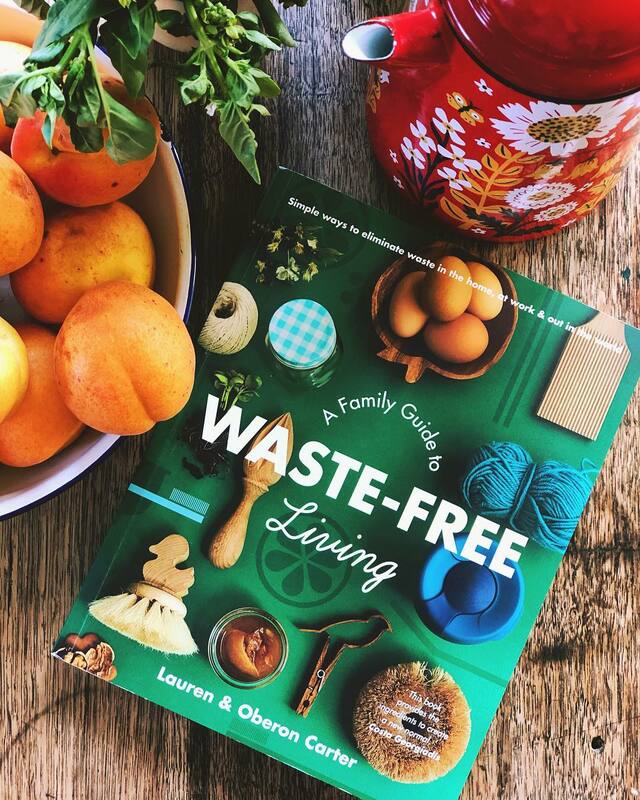 see our book ‘Bountiful: A family guide to waste-free living’ to be released later this year! *nudge, nudge, wink, wink*) by following any number of ‘zero-waste approaches’. The short- and long-term solution is for individuals and local communities (including businesses and governments) to adopt new, and environmentally-much-less-harmful paradigms – ones that do not rely on multi-national corporations who demonstrate little care for environmental impacts. If they did care, the supermarkets would have stopped selling single-use plastic products decades ago. Good in-roads to broad, positive change (e.g. community level and bigger) can be made in various ways. But first, we should take a little time for self-reflection – what can we do as individuals and households to reduce our own waste? Once we are informed about the waste we produce, and take steps to reduce it, then the barriers to further waste-reduction becomes more apparent. You may find that you can live without supermarkets, but that you hit waste barriers when you start focusing on the waste associated with clothing, electrical goods, or travel. For each wasteful item, there can be a number of ways to address it. If you have the time, learn about their production system, business ethics, supply chain, and their organizational context. It may be worth writing to them to highlight a concern, but if you do this, offer solutions as well. Refer them to other businesses who are leading the way on a particular issue, so that they may aspire to improve practices. Also, write letters and emails to your local government aldermen or members of parliament – people who are in positions to vote on motions for positive change. If you’re in the know on and issue and you think the council member is not, then inform them! You may also want to let retailers know why you’re opting out of their products, but in the case of big multi-national corporations, don’t expect to see much more than a scripted, copy and paste response from them. In the case of the viral ‘plastic protest’ video, the customers aren’t really opting-out of the products, so the argument for leaving the packaging on the counter is confused. Leaving plastic product packaging at the counter is, in my opinion, akin to leaving a big steaming turd on someone’s doorstep – it is only going to incite annoyance and anger, but does not offer any solutions to the waste problem. It is an act of despair, of waving hands in the air and saying ‘What can we do, it’s all your fault!’ At best, such action might prompt discussion, albeit confused discussion. Activism can be a useful strategy to push for broader shifts towards low-waste lifestyles and processes, but such actions will be more effective if they are solutions focused and not simply buck-passing. 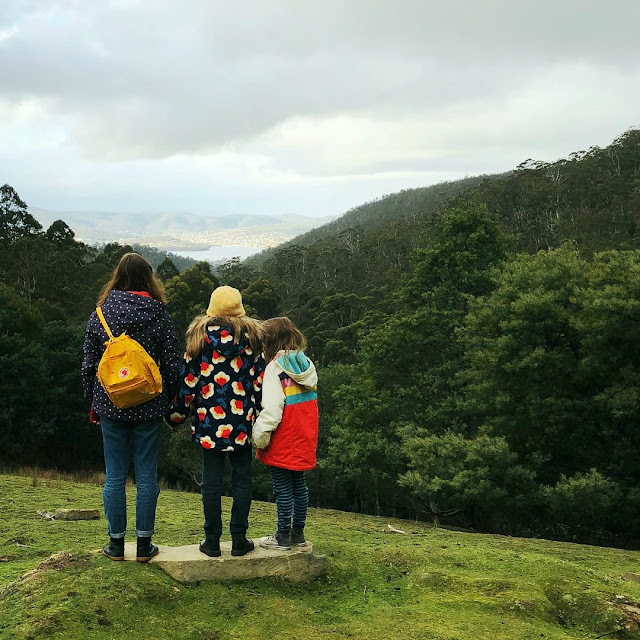 A great example the sort of positive activism that I mean, can be seen in Plastic Wise Taroona, who approached local, medium-sized supermarkets and negotiated for them to ditch plastic shopping bags, whilst offering reusable cloth bags instead. This action was collaborative, co-operative and mutually beneficial to businesses, customers and the local environment. I’d love to see similar, innovative solutions and cooperative approaches put in place to address waste problems elsewhere. As parents, Lauren and I encourage our children to take responsibility for themselves, and for their waste. We don’t want them to feel helpless in the world, or to constantly pass the buck on issues that they can actively control. We’d rather they problem-solve, and we encourage them to be self-reliant. The goal posts of this planet are constantly changing and so we want to equip our children such that they can adapt to changing times, with novel solutions.